shoes crunching on the grisly remains of previous meals. will join the detritus on the floor of the Labyrinth. young women from their enemy Athens. out. 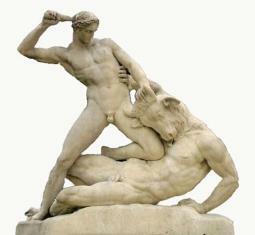 You were at the mercy of the half-crazed minotaur. white one as a sign if he were successful in slaying the beast. the ball of thread to find the way out. named the Aegean in his honor. Gortyan in southern Crete might have been the Labyrinth. 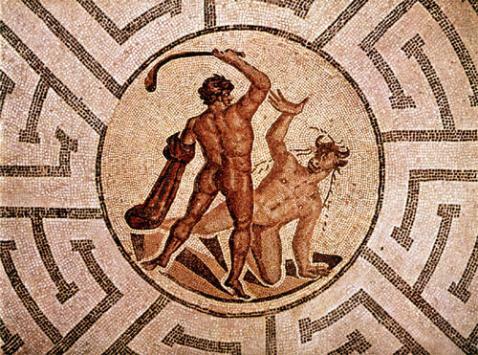 legend of Theseus slaying the Minotaur. "Papa, what is a Minotaur?" 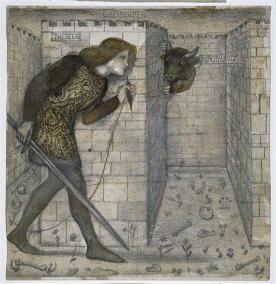 Labyrinth and slew the Minotaur." you'll feed me to it. But you've just said that it's dead." the PreRaphaelite Sir Edward Burne-Jones. 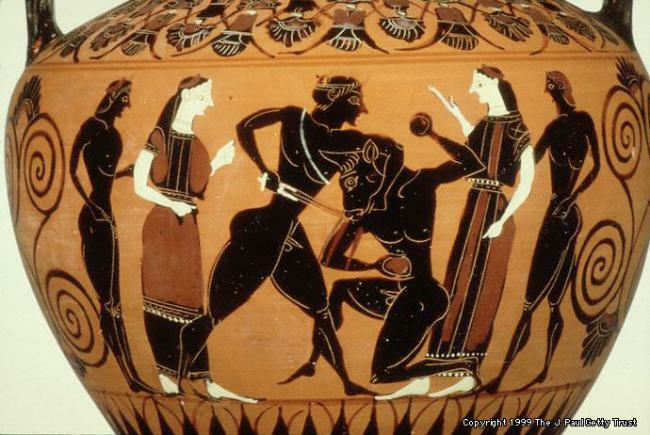 A black-figure Greek vase painting from the J. There's an element of mystery to some labyrinths: which way to go? mazes and labyrinths in popular culture. legendary and historic phenomenon which today is creating new interest. Write me with your reactions at b.silvey@sbcglobal.net.